The SC-2020 family of kits uses a Liquid Preservative Process for DNA collected from surfaces. Depending upon application the kit is available with different preservatives, lysing beads and swab treatments. 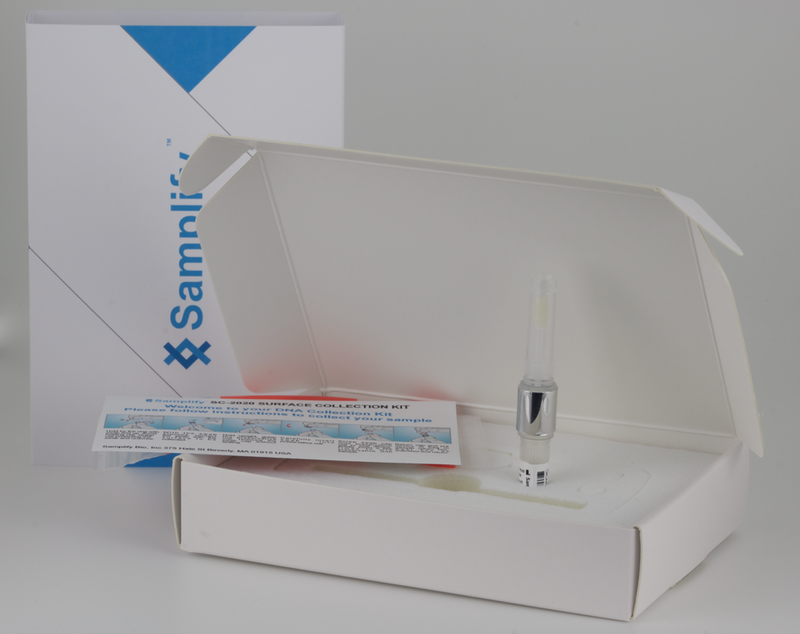 Simply open the swab, collect the sample, invert swab into preservative and ship. *Please contact us for more information about customization options. All SC-2020 Family Kits are Research Use Only (RUO). The following configurations are available.